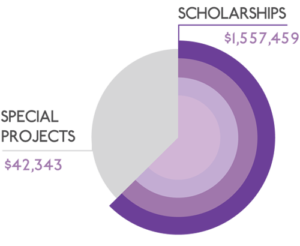 The Tekamah-Herman Public Schools Foundation now houses the funds that support over 100 scholarships per year. These scholarships now provide more than $150,000 in aid each year to graduates from the Tekamah-Herman Community Schools. Current graduates as well as past graduates are invited to apply. Our foundation offers a great opportunity to invest in students by providing life-changing opportunities and inspiring possibilities. 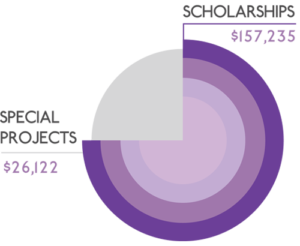 Since 1993 Foundation has awarded more than $2,500,000 scholarships to more than 10,000 recipients. Here are the stories of several recipients who are using foundation scholarships as stepping stones to successful careers and lives. Our dream is to connect you, our generous community, with the needs of THS students. We want to inspire possibilities for all students to achieve their goals. With your support, we can lift up students and bring their education to life. Teachers may apply for many forms of grants through the Foundation. The grants come in many types, sizes, and formats. They are all intended to fund innovative projects that traditional school funding cannot support. We hope they encourage teachers to think in cutting edge ways and bring new vision to the classroom. It is a true privilege of the Tekamah-Herman Schools Foundation to fulfill grant requests.